Wales will play hosts China in their opening 2018 China Cup game on 22 March in Nanning. It will be the first game in charge for whoever the Football Association of Wales appoints to succeed Chris Coleman as national manager. 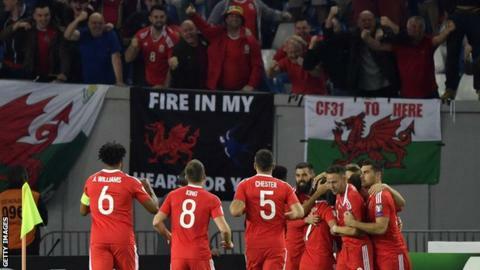 Wales will then face either Uruguay or the Czech Republic, depending on results. The competition was held for the first time in January 2017 between Chile, Croatia, Iceland and hosts China. The prospect of Real Madrid star Gareth Bale travelling to the Far East to take part is thought to be a major factor in Wales being invited. The games, which take place in Nanning in the south of China, fall within Fifa's scheduled international window between 19 and 27 March. But the Football Association of Wales had to consider the implications of a 12,000-mile round trip before accepting the invitation. They squad must be back in the UK in time for the players to rejoin their clubs before the Premier League and Championship fixtures resume on 31 March. Chile beat Iceland to win the inaugural China Cup, while China finished third after beating Croatia in the third-place play-off.